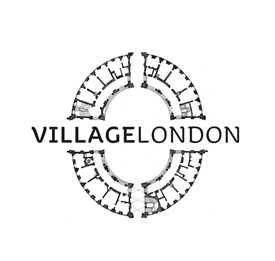 Welcome to Village London - a small (ish) independent company with big plans! Currently we operate two restaurants in London with our third the Rail House Café due to launch very shortly. Since we started The Riding House Café 5 years ago, Village East & Riding House Café have been winning awards and delighting guests with exceptional food and service - a theme set to continue when we open the much anticipated and exciting Rail House Café. 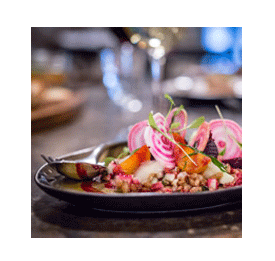 Based in the Nova development in Victoria (London) the Rail House Café will have a modern international brasserie focus with an exciting and fun evening offer. The 240-cover Café will feature an extensive ground floor eating and drinking area, as well as an upstairs bar and private dining area. It will also have an outdoor area for 85, complete with seating and an alfresco bar. We believe in great people. Warm hospitality and exceptional service are the backbone of what we do – and we’re looking for chefs who are as passionate about these qualities as we are to join us and help continue to make our existing restaurants and Rail House Café a resounding success. At least 2 years experience as Chef de Partie. We get excited about employing people who offer individuality, who show flair and positive personality (practical skill and experience are also great of course). We do our best to create a fun, challenging daily environment with ample opportunity for your personal development to help you progress in our industry, or any industry for that matter. We want you to enjoy your time with us and we want your career to benefit too. In addition to a highly competitive salary , every member of staff is assigned a mentor and each has a personal development plan to make the most of their time with us. We have an extensive internal training programme for all staff and managers, as well as opportunities to gain recognised qualifications. We pride ourselves on the fact that our staff members are regularly promoted within our organisation as a result of their development success. Awesome staff parties in summer and Christmas for all the team! Fun and energetic environment to work in, everyday is different. Great potential for promotion and development with our company growth. Plus loads more that we offer, but we like to keep something's under our hat until you come see us. Individuality is important to us, which is why our restaurants are all different, and we love to suss out people with a unique personality to match! However, one thing remains the same across each of our sites, and that's the understanding and recognition of just how important our staff are to our success. 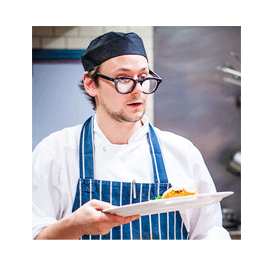 We work tirelessly to fill our restaurants with people who share a passion for hospitality, food, drink and having fun. In short: if we make you happy to work with us, we know you’ll make our guests happy when they are with us. To apply directly for the role of Chef de Partie or Sous chef, please email your CV and a brief cover note to Etienne Bruwer.